Winter has not been kind to New England this year. Northeastern states such as Massachusetts have been blasted with snow, icy winds, freezing rain, and below-zero temperatures. It's gotten so cold that even the waves washing up on the shores of Nantucket have begun to freeze. 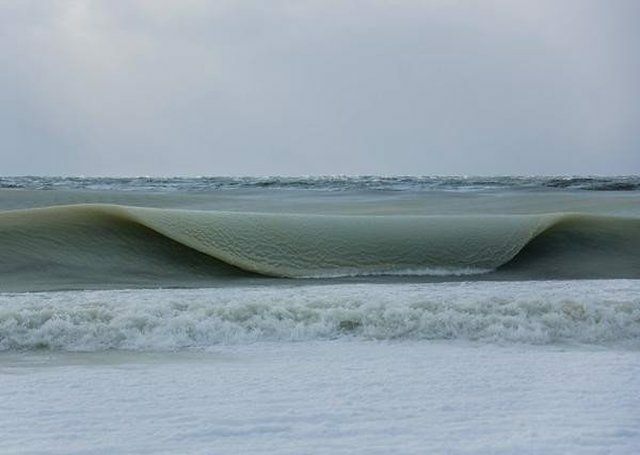 Photographer Jonathan Nimerfroh has captured amazing images of these frozen waves - check one of them out!